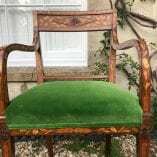 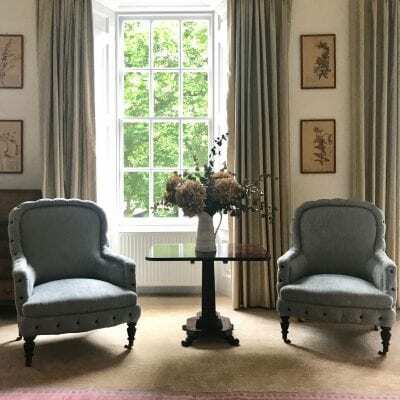 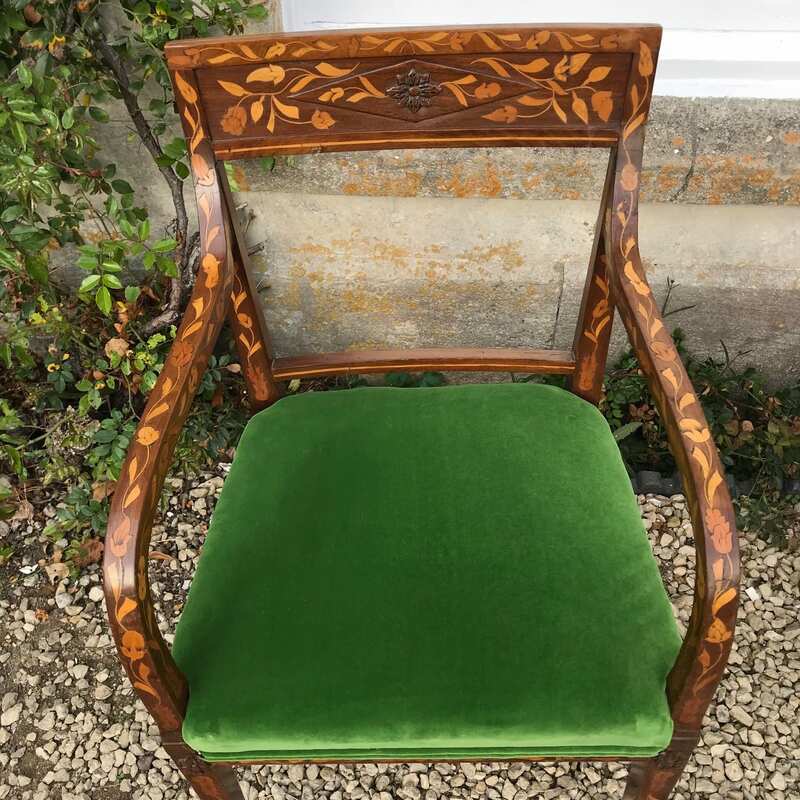 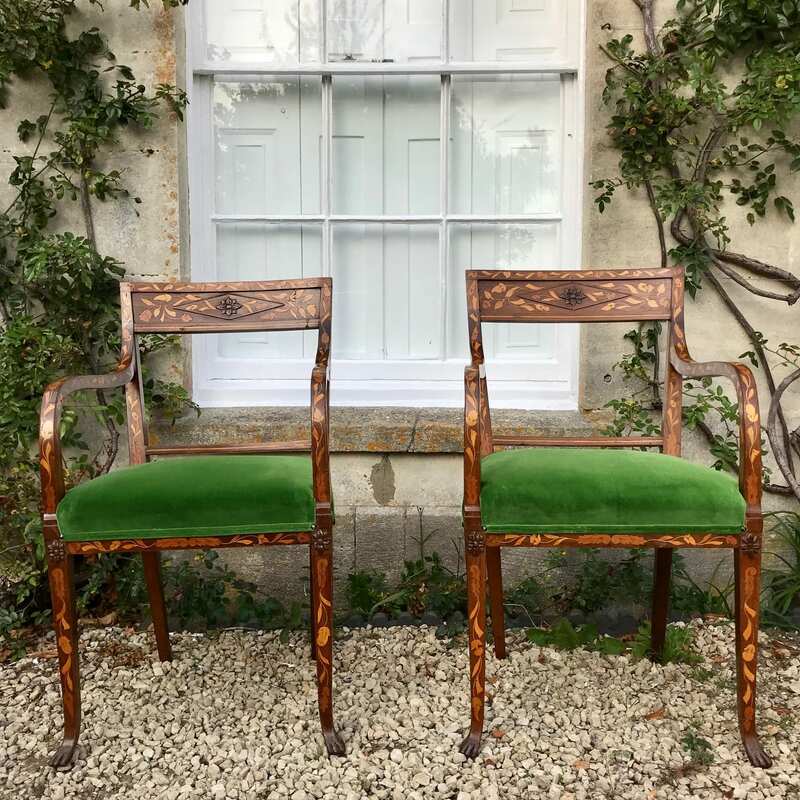 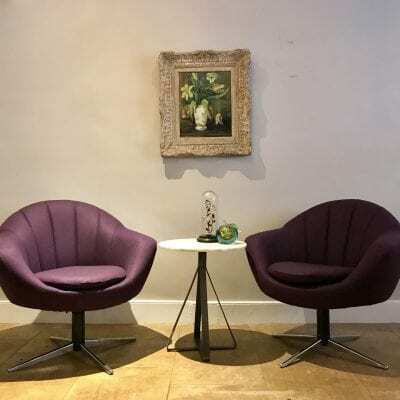 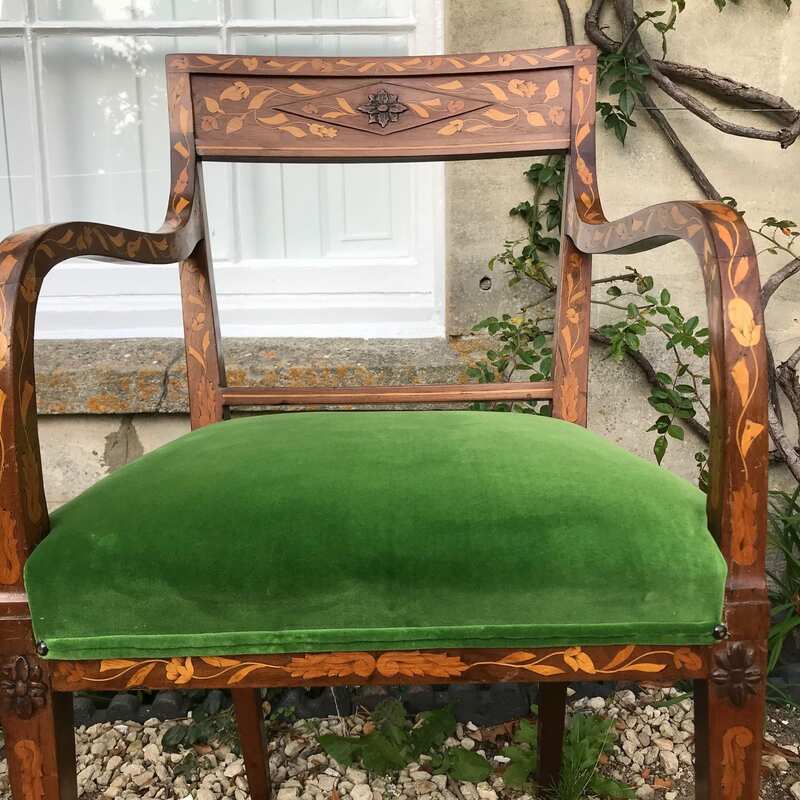 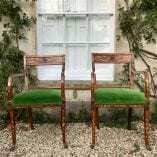 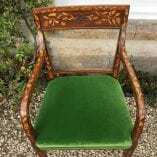 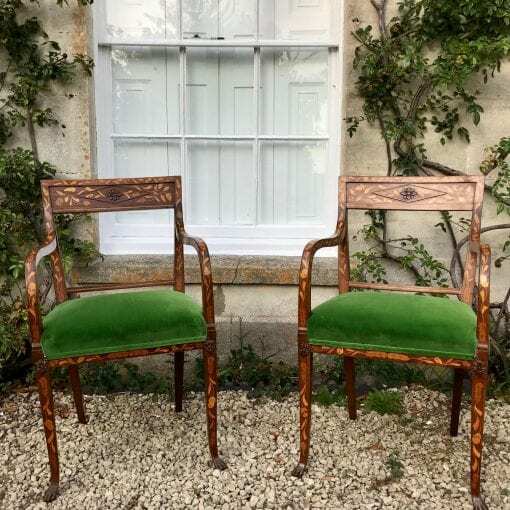 A very beautiful and elegant pair of 19th Century Dutch inlaid Mahogany open chairs, with delicate foliate marquetry, wonderful paw feet and lush green velvet seats. 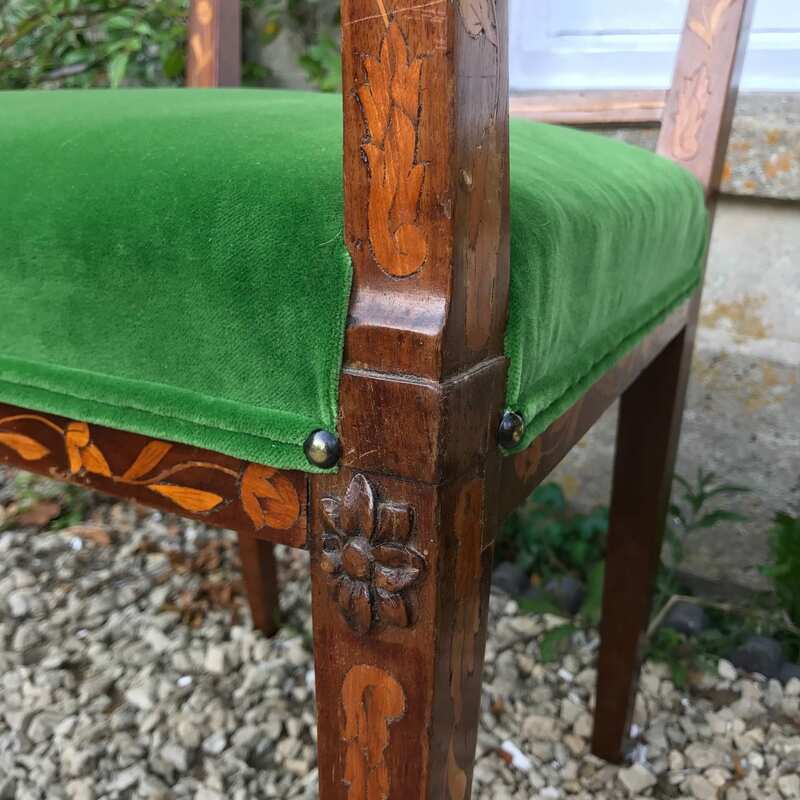 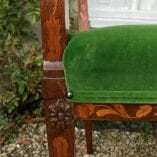 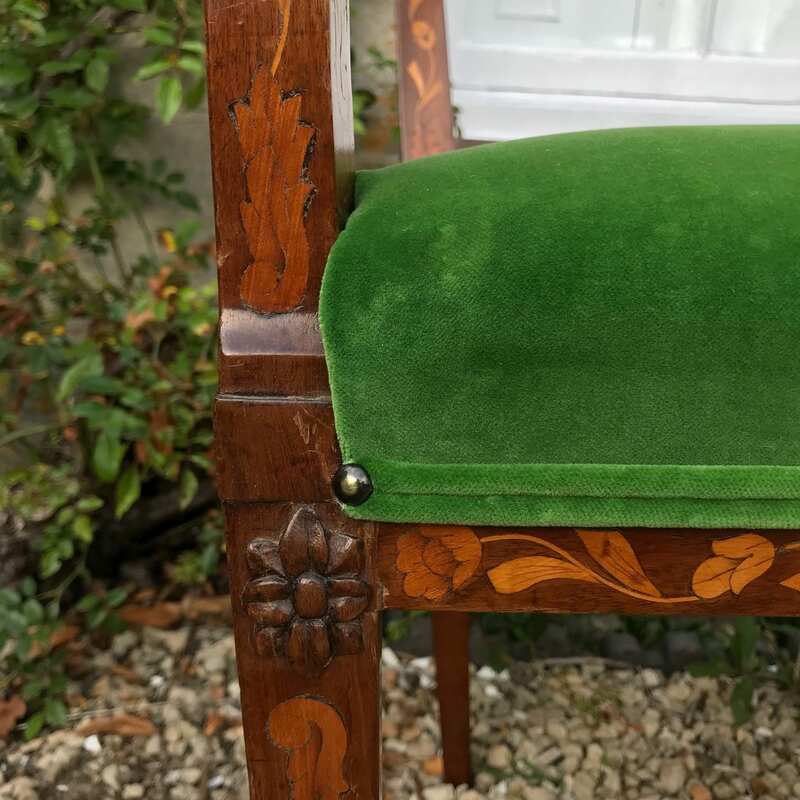 Traditionally re-upholstered in green velvet with double piping finish and aged studs. 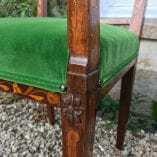 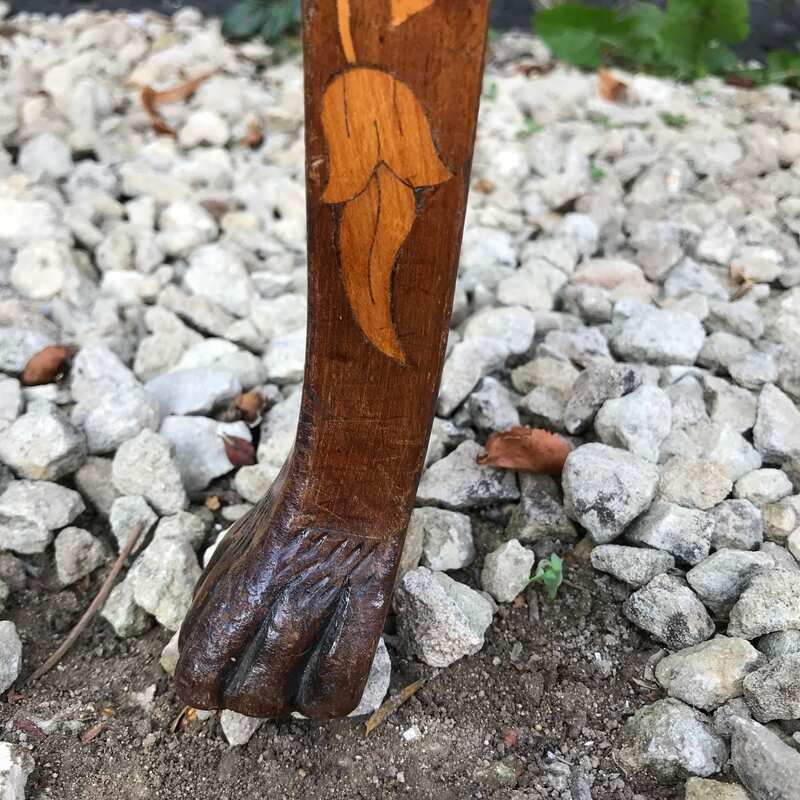 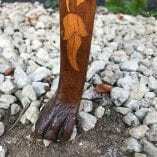 There are some signs of age and historic cracks in the wood expected of something of this age – but doesnt detract.